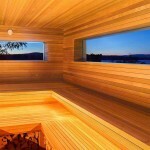 Located among grain silos, dairy barns, greenhouses and a grand 1940s estate house in Staatsburg sits a beautiful wood sauna construction. 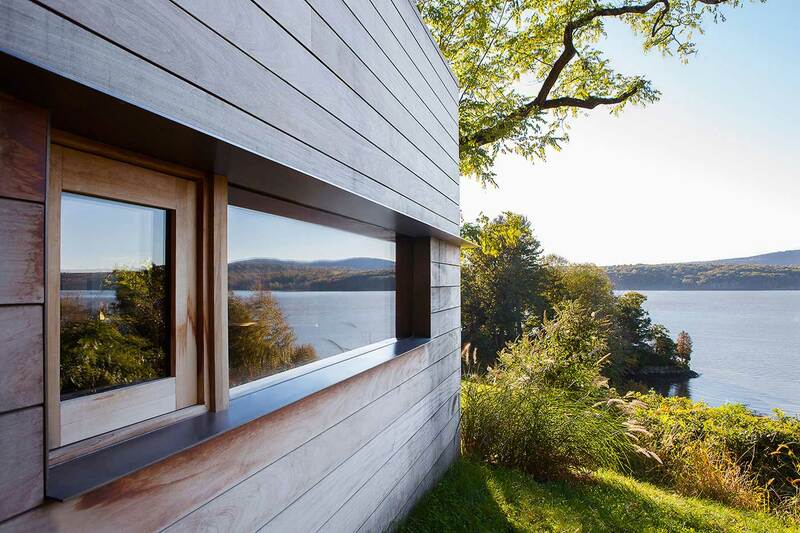 Designed by Andre Tchelistcheff Architects, it features long horizontal windows that span all of its facades, each window framing majestic views of the Hudson River and Catskill Mountains. 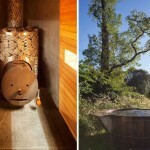 Its woodland surroundings together with its cozy and scented interiors make this modern sauna perfect for sweating out any stress brought in from the city. 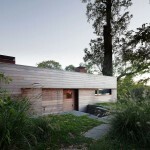 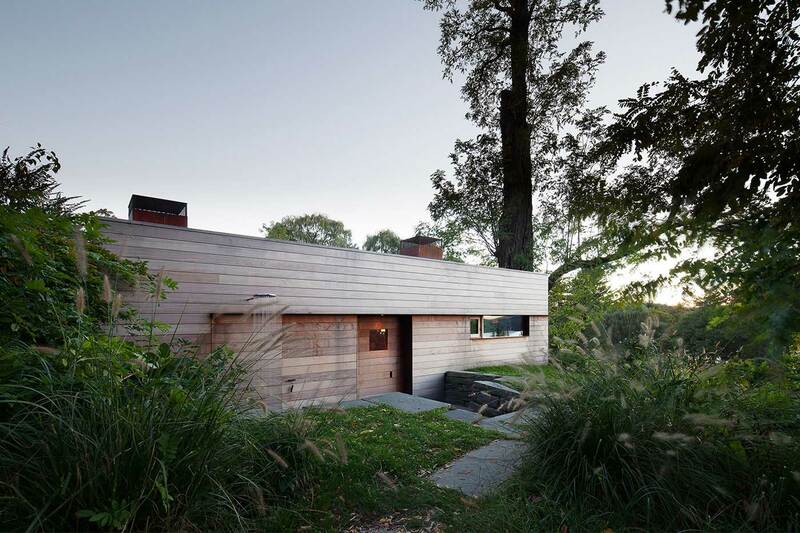 Perched on a grassy knoll, the minimal building is part of ninety acres belonging to Hudson Valley Spa. 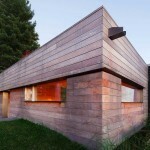 The structure has been clad in ashen-toned horizontal planks weathered by the elements, and the design pays homage to its Finnish predecessors with a true wood-burning stove and a flat earthen top. 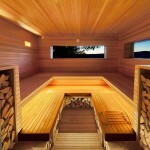 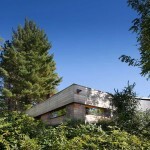 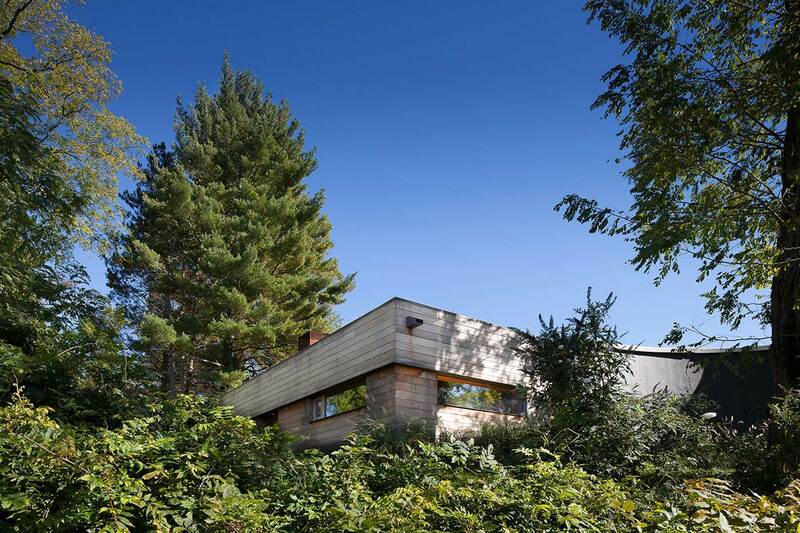 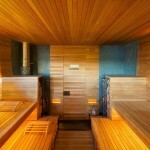 While its exteriors are washed out and faint, its interiors glow with the warm finish of the wood. 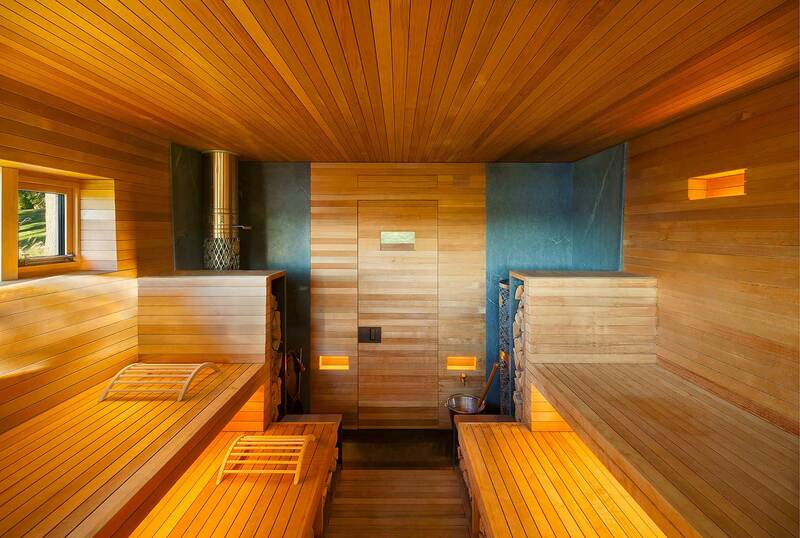 Made entirely from golden cedar planks, this space is uniform and feels very cozy. 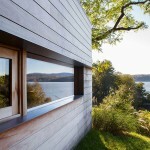 Long horizontal windows with copper lintels were placed at eye-level to frame stunning natural views to help with relaxation, while also keeping the interiors private. 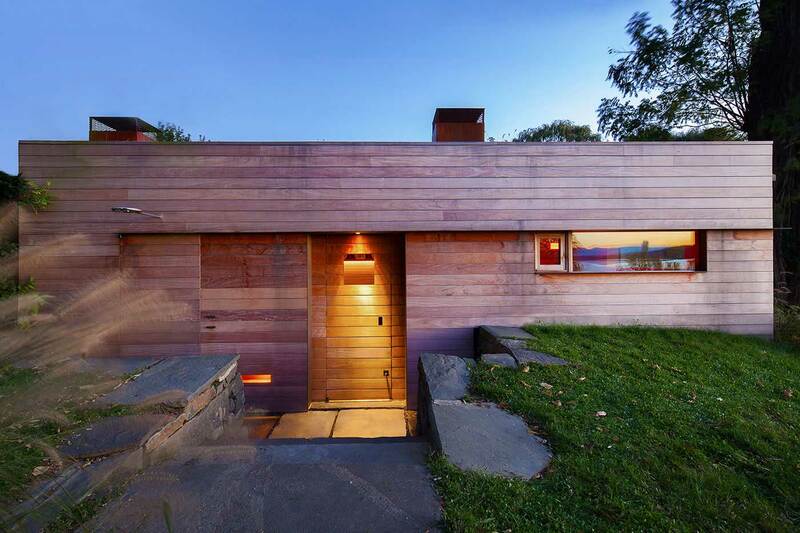 Lights are elegantly hidden in small oblong voids on the walls, on the door and beneath the wooden seating, which also doubles as storage. 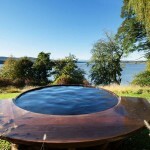 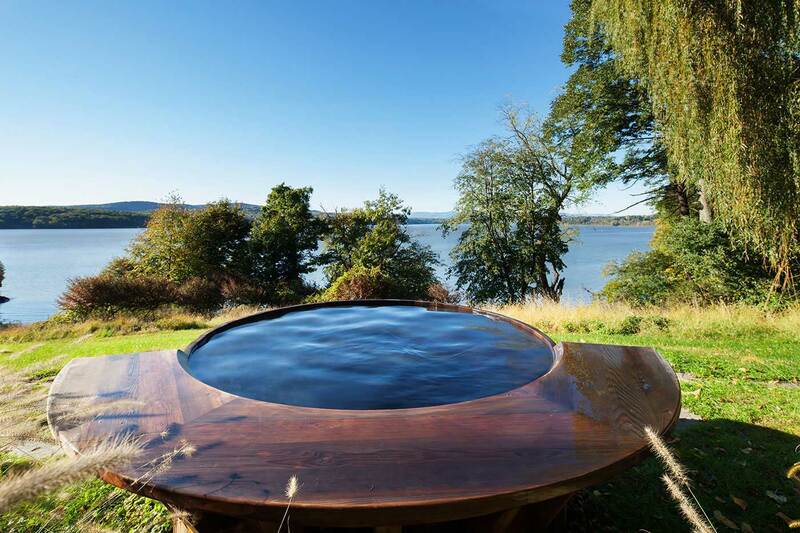 And when the weather allows it, guests can immerse themselves in the wooden hot tub that “floats” on the grounds, just outside. 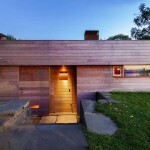 See more elegant designs by Andre Tchelistcheff Architects here.